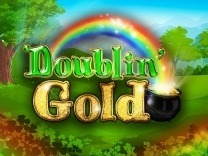 Turn a profit through this Booming Games latest slot - Golden Profits Slot.Interact with different characters to unlock riches beyond your imagination. Having a Greek theme, the game will allow you to decide your fate through spinning the reels. Golden Profits is a 5-reel, 3-row and 5 payline slot with wilds, scatters and tons of free spins.So get ready to uncover the secrets hidden in this slot. Golden Profits has an amazing colour scheme which makes the slot amazing to play. The characters are well laid out on the slots and pay amazing amounts of money depending on the number of symbols you have matched. The slot display is well laid out in a blooming flower field in the background and the reels presenting the characters in a well thought out presentation.The soundtrack ties the whole game together. It soothes and nudges you to continue spinning the reels. 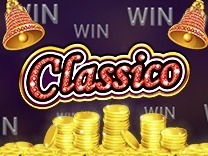 Whenever you land a winning combination you will be notified as the soundtrack will change slightly.The slot has all the buttons well placed in the slot making it easy to access them. you can choose to autoplay, quick spin or have a maximum bet all with a click of a button. 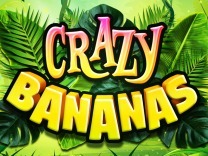 This makes the game exciting and if you are looking for a new game to try out, then this is the slot to choose. Golden Profits Slot has different characters all paying different amounts of money. Set in a mythical Greek theme, the game shares a history with historical characters and symbols. Some of the symbols include a silver haired deity holding a sword of lightning, card symbols. There is also a wild symbol which substitutes all other symbols in the slot. Whenever a wild is applied to a winning combination then it is subjected to a multiplier. 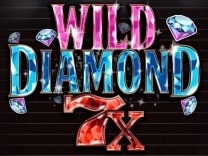 However, whenever a winning combination is formed of pure wilds then there is no multiplication.Players can make a minimum bet of 0.01 credits and a maximum bet of 25 credits. this can be adjusted by clicking the -/+ buttons at the bottom of the slot display. You can also adjust the paylines through the buttons at the bottom of the screen.Players who would like to have a quick play can do so through the quick spin feature and autoplay. This will allow you to go through the game without having to wait for the reels to spin into place. In Golden Profits, you will find 5 adjustable paylines which will give you maximum chances of making winning combinations on each spin. You have to match at least 3 characters on an active payline to receive a payout. 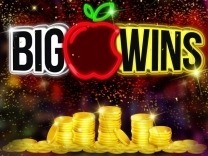 Payouts are paid both ways.The most valuable character in this slot is the game's wild. 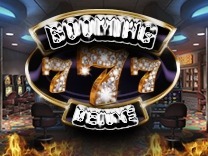 Whenever it is combined with other symbols to make a winning combination, your winnings are subjected to a multiplier. 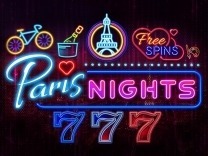 Even though there are various features in this slot, the most interesting one is the free spins feature. This is the only bonus game you will find in this slot. To activate a free spin feature, you need to match at least 3 scatter symbols anywhere on the reels. The scatter symbols do not follow the paylines. 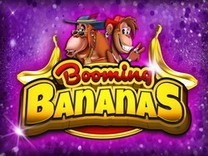 Matching 3 or more symbols will trigger the free spins awarding you 10 free spins. But you can choose to risk it all and gamble before the free spins begin.This especially wonderful for players who love to double their winnings. It is presented as a guessing game where players have to guess the correct colour of a playing card. Players are given two colour options which are red and black. 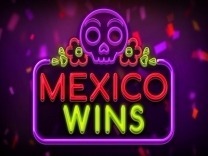 Guessing the correct colour means doubling your winnings while incorrect guesses mean forfeiting your winnings.Combining these features with the wonderful base game, this game is exciting to play.